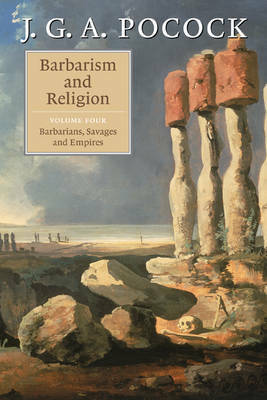 'Barbarism and Religion' - Edward Gibbon's own phrase - is the title of a sequence of works by John Pocock designed to situate Gibbon, and his Decline and Fall of the Roman Empire, in a series of contexts in the history of eighteenth-century Europe. In the fourth volume in the sequence, first published in 2005, Pocock argues that barbarism was central to the history of western historiography, to the history of the Enlightenment, and to Edward Gibbon himself. As a concept it was deeply problematic to Enlightened historians seeking to understand their own civilised societies in the light of exposure to newly discovered civilisations which were, until then, beyond the reach of history itself.